Last night's dinner was, as usual, wonderful. The food was simple, the friends, fantastic. Here are a few details on what we ate and some recipes. Maybe someday I'll actually photograph the dishes we're noshing on instead of just eating them up. To begin with a cocktail that required the penguin shaker was a fun addition. This particular boozy rendition of an Orange Julius hails from one of our favorite Denver breakfast spots, Snooze. With a working knowledge of the ingredients, D. cracked the code on the proportions with tasty results. Here's our formula, essentially a dressed up screwdriver. A deliciously dressed up screwdriver. Snooze Julius a la D.
Shake three shots of vodka over ice with enough OJ to fill a tall glass and a healthy dollop of whipped cream. Poor into glass and top with more whipped cream. Drizzle generously with Grand Marnier. 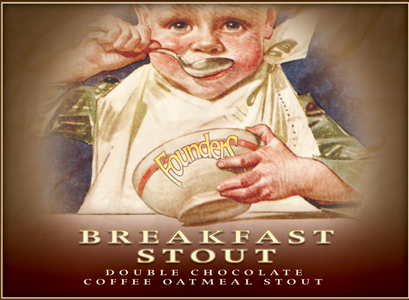 The Founders Breakfast Stout was a guest contribution. The coffee and oatmeal flavors were the perfect accompaniment to a savory breakfast with multiple meats. What we had after that was essentially a traditional English breakfast with a few twists courtesy of a healthy amount of diced hatch chile added to D.'s gently scrambled eggs with cream. Sausages from the market - little pork ones with casings, not the odd crumbly ones from the grocery - were paired with cherry tomatoes that had been tossed with olive oil and salt and pepper. The whole lot were spread on a baking sheet and roasted until the links were browned and the tomatoes wrinkly and splitting through the skin. Heinz baked beans went from can to pan, nothing needed but some heat. The waffles were very basic - but a good standby not too sweet, not too eggy, and so easy to make I don't know why anyone buys a mix. Whisk eggs until frothy. Add in rest of ingredients and stir until just smooth. Pre-heat waffle iron. Use 1/4-1/2 c. batter per waffle (depending on waffler). Makes approx 8 waffles. Now I'm hungry! AND I love that you figured out the recipe for the Snooze Julius. LOVE IT!